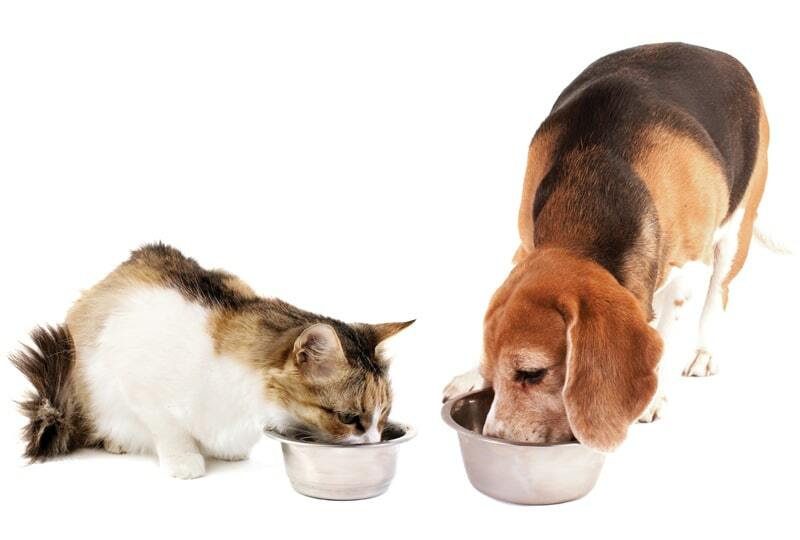 The guaranteed analysis found on all pet foods sold under AAFCO guidelines cannot be used to compare one pet food to another. The macronutrients listed are reported as minima and maxima, instead of the actual amount typically found in the food, and values listed are a percentage of weight as-fed. Diets vary in moisture and fiber content, creating differences in the number of calories per unit of weight (caloric density). Pets are fed by calorie, not by weight, so comparisons should ideally be expressed in the amount of a particular nutrient per calorie. Found online or in product guides. 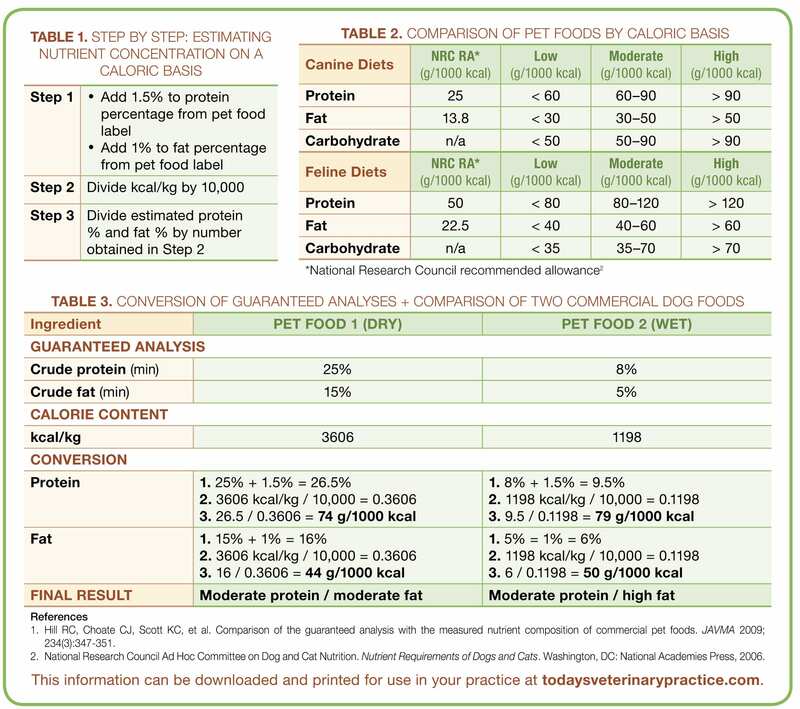 A general comparison tool for commercial pet foods is provided along with the suggested dietary concentrations established by a research panel (Table 2).2 An example is provided that illustrates the method of comparison using the labels from 2 commercial products (Table 3).